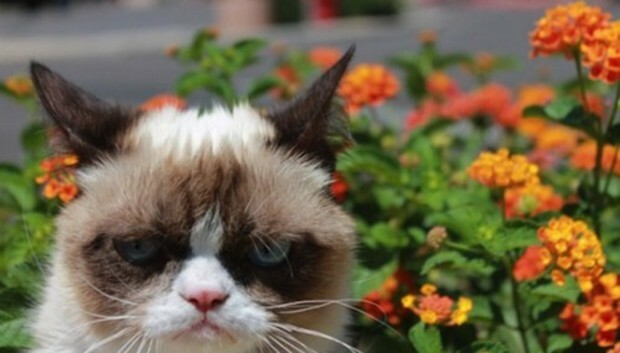 Grumpy Cat--whose real name is Tardar Sauce--is about to become an official movie star. According to Deadline, our most-cranky-faced feline is about to star in a new Garfield-esque feature film produced by Broken Road Productions. No word yet if she'll hate Mondays. The Todd Gardner and Sean Robbins film is reportedly a high-priority project at Warner Bros.' New Line Cinema, with Mark Steilen writing the family film. Deadline also confirms that Will Ferrell and Jack Black will play starring roles as well. So this is really happening folks--and oh, she also has a Hollywood agent, too.